Chinese buyers surged to prominence in the London market in late 2015, showing particular interest in the West End’s Covent Garden, Aldwych and Soho areas. These parts of London sit between the City financial district and the prime enclaves of Mayfair, Belgravia and Knightsbridge. Overall in the West End, according to our West End residential, Our Patch, Our View Q3 2015 report, we saw sales activity up 78 per cent compared with the previous quarter. This can be explained by the hiatus in London caused by the May General Election, where many buyers feared the election of a left-wing Labour government. When the Conservatives were elected instead, the brakes came off. In addition, we have seen West End prices increase by 31 per cent over the last three years, with prices now 11 per cent higher than they were at the beginning of the year. Chinese buyers now account for 13 per cent of sales in the West End – the second highest market share in the area behind British buyers. Our view is that this surge of interest has been caused by the recent volatility of the Chinese stock market, with the yuan becoming increasingly devalued. This has led Chinese buyers to increasingly look for offshore havens for their money, with London property continuing to be seen as one of the world’s best stores of wealth. And remaining with currency, we also see Chinese interest continuing to grow once the yuan joined the International Monetary Fund’s reserve basket of currencies, gaining equal billing with the dollar, euro, pound and yen. This will surely make transacting overseas easier for Chinese investors. The high proportion of Chinese students studying in or near the West End also drove sales in the third quarter of this year. The London School of Economics and Political Science and University College, London are among the world-leading educational establishments within walking distance of Covent Garden, Soho and Aldwych. So it is natural for Chinese investors to buy property in these areas to house their offspring, and eventually to lease out to other occupiers while in the long term also benefitting from capital growth. Another factor driving interest in the third quarter is Westminster Council’s clampdown on Permitted Development Rights – a move made by the government during the economic downturn to ease office to residential conversions. 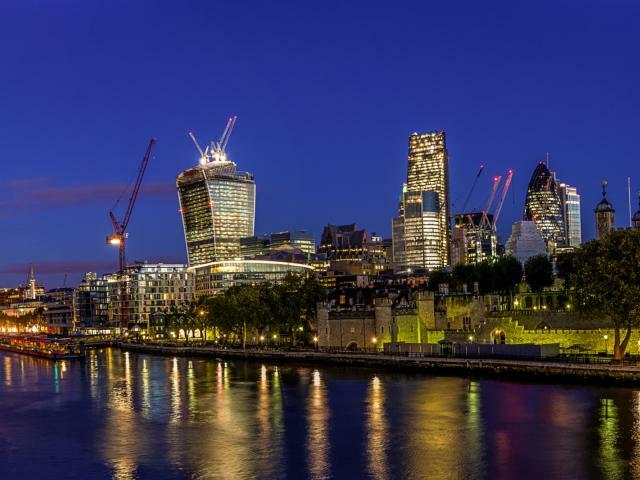 More than four million square feet of London office space has been converted to residential in recent years, and following a campaign by the City Property Association and Westminster Property Association this rule has now been reversed. The effect will be to limit the supply of new homes in Central London, driving up price growth further still. Although the West End saw significant Chinese interest in the third quarter, Chinese buyers also spread their wings to some other emerging London markets. Just north of the City financial district is a rapidly developing route called City Road, where some of the world’s best architects are creating a new upmarket residential boulevard. Developer London Square has interest from local and Chinese buyers at its scheme Streatham Hill. South-west of Central London and with interest from people working in many different sectors. This is no surprise given the development’s strong transport links to the City and West End. Overall, CBRE is predicting house price growth of 31 per cent across London between 2015 and 2019, with areas like Streatham in the vanguard. Despite the recent terrorist attacks in France, international investors recognise real estate in Europe remains a safe investment haven. Against this backdrop, Chinese investors are recognising London property’s role as a safe place for their hard-earned wealth.